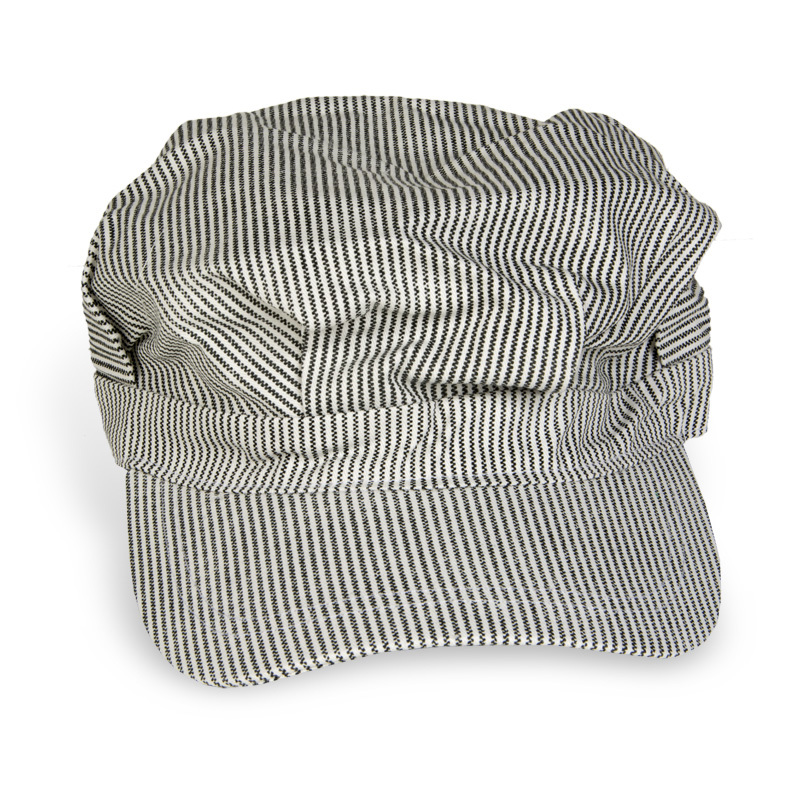 Junior engineers will love this engineer cap, which celebrates Kansas’ railroad history. The Atchison, Topeka & Santa Fe Railway was organized in 1859; track was later laid in 1868 and by 1872 it had reached the western border. The Union Pacific Railway, Eastern Division, began operation in 1866. The Kromer cap made of pillow ticking dates to the early 20th century. The cap was popularized with Walt Disney’s Santa Fe & Disneyland Railroad in the 1950s.